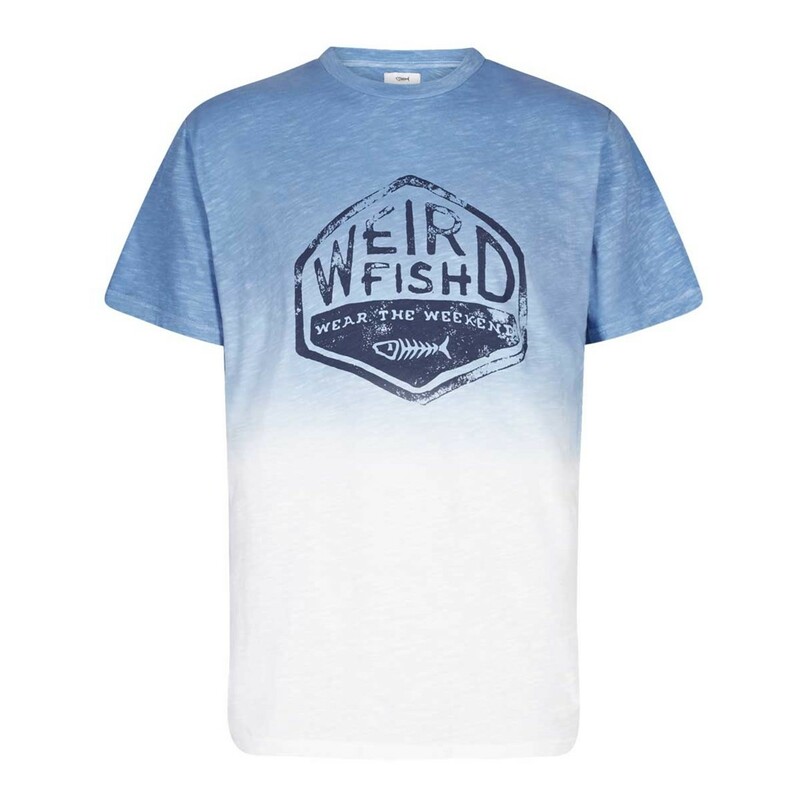 Wear our Onslow graphic print dip dyed T-shirt with its stylish dip dyed finish and graphic print featuring a vintage style Weird Fish logo on the chest and enjoy a soft, comfortable, classic looking T-Shirt. 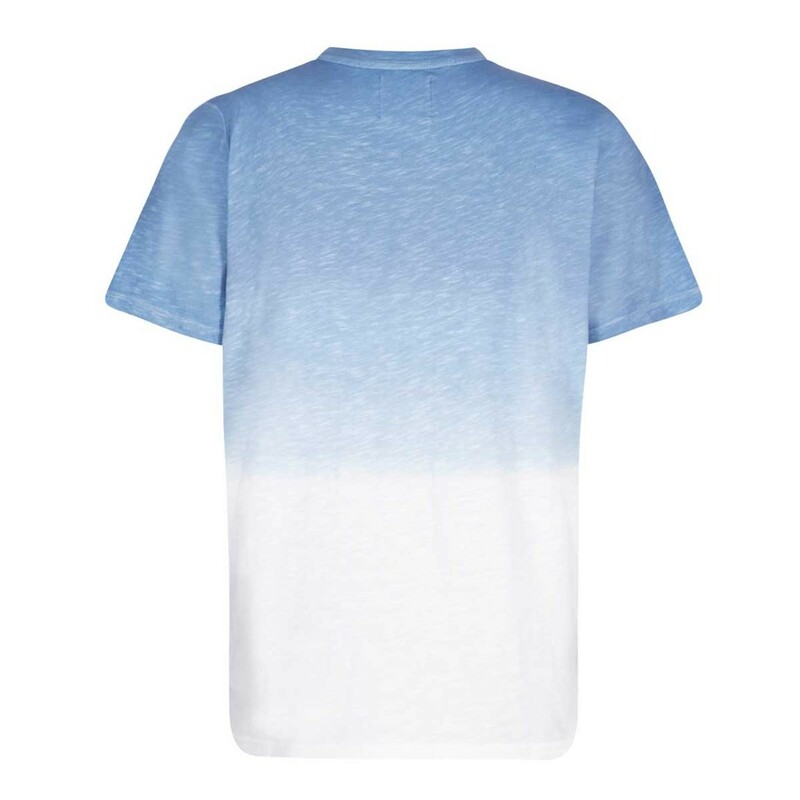 The 100% cotton jersey Onslow T-shirt, also available in Mentol, features a gradual fade to white from the shoulders down will quickly become a firm favourite that you’ll reach for time and time again, why not match with our Matrix classic denim jeans for a relaxed look and feel this season. Nice tee-shirt, great quality and design - another winner from Weird Fish! Very good quality and it was a great present! 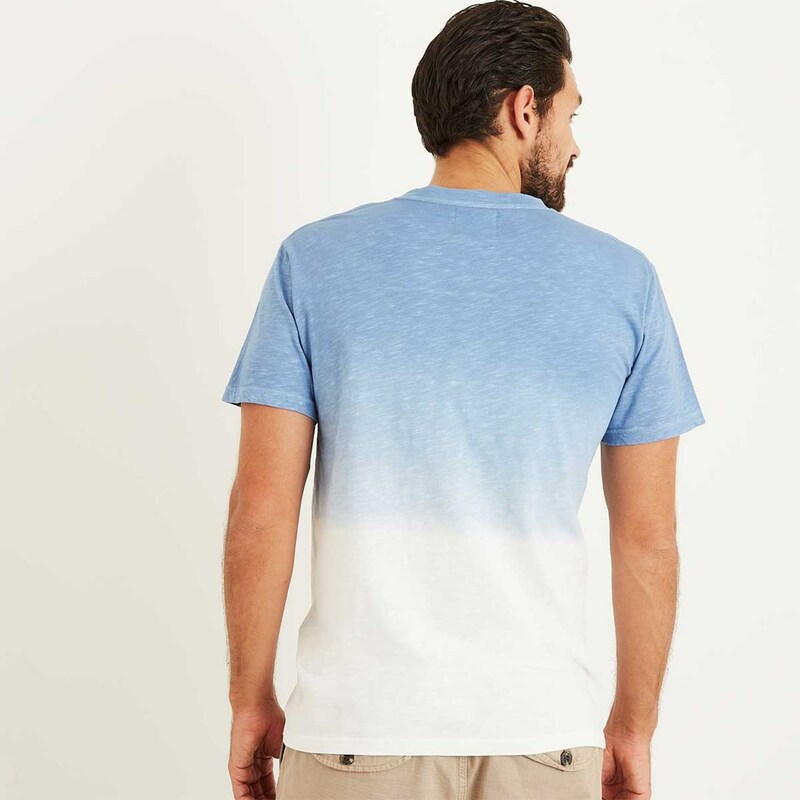 The new website sizer tool helped me pick this to go into my holiday suitcase, this will look awesome on the beach, real surfer dude stuff, and the quality is great! Thumbs up Weird Fish.